I spent hours following these girls around the garden; peeking behind branches and watching them play. We rested every now and then – for outfit changes and chocolate cake – but most of the day was spent weaving in and out of hidden corners and orange orchards. I enjoy this kind of work so much. This collection will be available in July but if you head over to fabrik now you’ll find some gorgeous pieces on sale. I'm a new reader and your work is absolutely beautiful. Such an inspiring site, can't wait to keep reading. Beautiful work Jodi, your photography just keeps getting better & better. So inspiring. How wonderful to have found work that you love so much. goodness, your photos are stunning. your work is one that I aspire to resemble in my own. love! These photographs are beautiful and so fun! I recently found your blog and am so enjoying your work! I started the 52 Project this year and am really excited to see it all come together at the end of the year! I absolutely love this blog. The photography is so beautiful and inspiring. Pretty shots, Jodi. 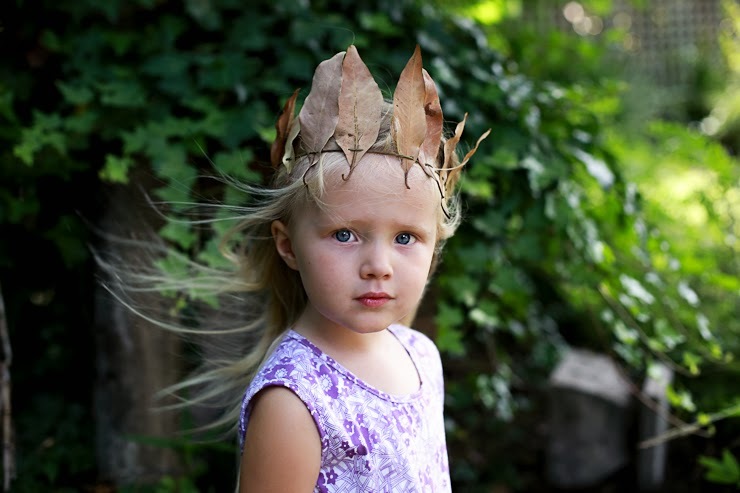 I want a leaf crown!